Click on the picture to go to Flickr to get the links for each individual picture. This is my favorite of the two blocks. The smallest geese are a mere 3/8" tall (~1cm). 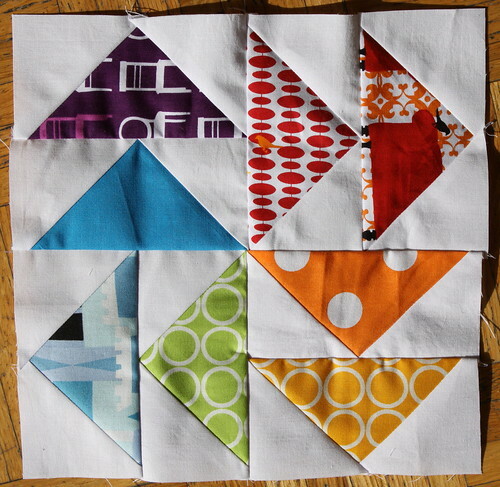 Ironically, it wasn't the tiny geese that were the problem, but rather the curved piecing to set the two strips of geese into the block! I used this blog post from Victoria @ Bumble Beans to discern the basic technique. P.S. 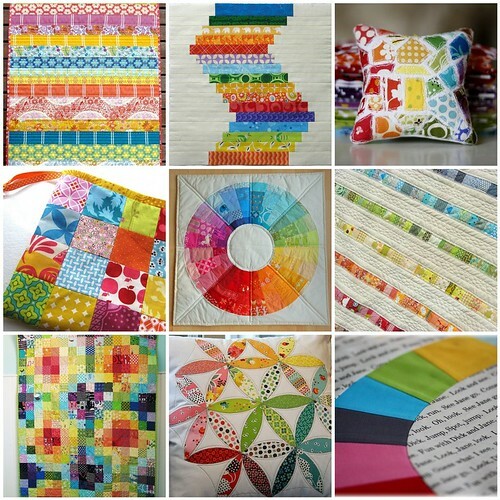 Linking up to sew & tell, Lily's Quilts, and Fabric Tuesday. Wow! Fab stuff! Thanks for reading my blog! I am loving yours!! We can be quilting buddies!! Oh I love the curved geese! Very interesting! WAHOO!!! Looks at those BABIES!!!! nice job! glad the tutorial helped! You really rocked it out!! Oh wow! 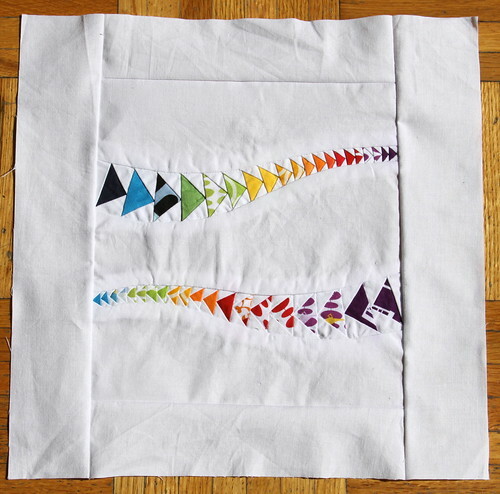 I am in loved with your curved geese block! I love the flying flying geese!!!!!! Would love to know how you make those small geese!! I'd toast my fingers trying to press them! I love the small to large geese and the curve to it. So well done. I love the blocks you did, and that second one is amazing! This is going to be a lovely quilt..it'll be interesting to see how Rachel ties it all together. Both your blocks are great, but that second one - WOW! Just amazing! These blocks are amazing, especially the last one - so clever! Wow that's amazing!!!! Great work, and I love the colors! Sweet tiny little geese! I love both of your blocks and the colors make my heart jump. I love it! Awesome 2nd block. Really original and can't even imagine how you worked with such tiny pieces. Hello! I love these blocks! 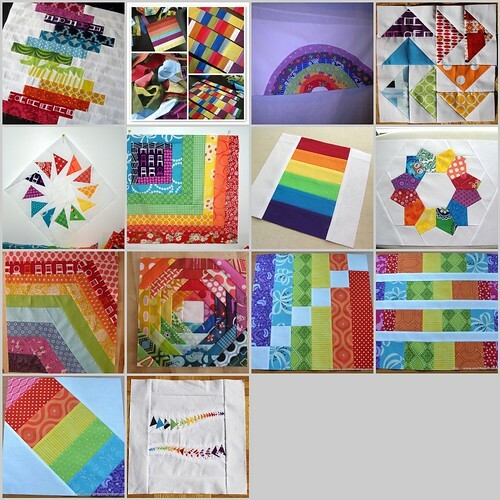 I was looking around and you make so beautiful quilts! Love that block you made (the second one). Fantastic. I can't imagine how you did it. Great job! love love love your blocks ...the goslings rock! Love the curved flying geese.I am also on a flying geese kick. All this colour is just fabulous, -so inspiring. Oh, I love those geese, what a fab idea, you did a great job! Gorgeous blocks! The second reminds me of the flying tail of a kite! Both blocks are beautiful!!! Your favorite is a stunner for sure! Such itty bitty geese! Well done! I just don't even know what to say. Those baby goslings are just killer! WOW! That block is amazing! Love :) Just saw the block on Quiltstory and had to pop over for more. How awesome. Wow, I love your goslings block, it's just incredible, and how much work you've put in!